When I got my hands on the new OPI Matte nail polishes, I immediately started swatching them on my fingers. This was my first time using a true matte polish and all I could say was, “Wow, that’s MATTE alright!” I’ve never seen anything like these before. Think about dipping your fingers in flat wall paint and that’s the look we’re talking about here fanatics. Not at all like the satin-esque finish I got from using Orly Nails For Males top coat for my matte & glossy nail art experiment. It’s like the black hole of nail polish, no light lives here. I’ve got swatches, a full review and comparison shots for you after the jump! 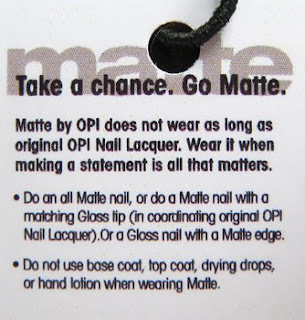 Every bottle of OPI Matte comes with a little tag that explains the nature of the formula, rules regarding application and suggestions on how to wear it (i.e. matte nail w/glossy tip). My theory… hand lotion will affect the finish, making it more satin looking and a base coat affects the application (streaking, unevenness, etc). Application – This formula dries FAST. Like lightening fast so you must work quickly and meticulously. Any hesitation in your brush stroke will show as will any imperfections in your nail bed, like ridges. The polish is thick and highly pigmented but because of the difficulty in getting it smooth, I needed to do three coats of each shade. Wear – I experimented with the no base coat rule when I did my five day wear test. I buffed then prepped my nails using Seche Prep to make sure they were free of any oils. I applied CND Stickey base coat to three nails (thumb, middle, pinkie) and left the other two bare. I noticed that the formula didn’t flow as nicely over the nails coated with Stickey. By the following day I already had two chips on my index and ring fingers, by day five, well you can see the disaster they were. Going out to dinner with nails like this was, um “fun.” The boyfriend just shakes his head at this point. Meanwhile, the nails with base coat showed normal tip wear, nothing drastic. Alpine Snow Matte is the polish version of painting Wite-Out to your nails. It’s chalky and blindingly bright. Even though original Alpine Snow is used as a french tip shade, next to the matte version it looks almost off white. Now because Orly Matte has a tinge of color to it, it altered the color of Alpine Snow making it more creamy. Gargantuan Green Grape Matte is also very chalky and as much as I love a green, I’m not in love with this. It reminds me of a faded dried out pressed leaf. Unfortunately I don’t own the original version (I know, I know sacrilege) so I can’t compare them for you. As much as I’m not a pink girl La Paz-itively Hot Matte is my favorite polish in the collection. It’s the shimmer in it that gets me, making the finish a bit more satin than the rest. As you can see La Paz Matte is NOTHING like the original. La Paz is a hot pink but the matte version is more rosey and deeper in hue. Both colors are actually more vibrant in person but my camera just can’t capture that. I showed you You Don’t Know Jacques Matte in my second matte/glossy nail art experiment but here it is on its own. Is it just me or does it look like I rubbed dirt on my nails? I don’t hate the color but the finish just isn’t doing it for me. It doesn’t have the same uniqueness as the original (below). Lincoln Park After Dark Matte is the same almost black plum that the world has come to know and love. In most light it looks pretty black, in natural/sunlight you can see the purple undertones. It’s warmer than a flat black just like it’s shiny finish sister. Now after seeing La Paz Matte I had high hopes for Russian Navy Matte, expecting that same slightly satin, shimmer-filled finish. But that’s not what we got. Instead it’s a lifeless blue-black hue. In this case, I much prefer the satin version using Orly Matte. The OPI Matte collection officially goes on sale in July and can be found online at our fave e-tailers and in professional salons like Regis, ULTA, Trade Secret, JCPenney. I know you’ve weighed in on the matte look but what do you think about OPI’s version? Will you be running out to buy them? I gotta admit…I'm not into this look at all. I can barely get decent wear from regular polish (three kids and using my nails as tools = BAD!) and can't imagine that a matte nail will last more than 30 seconds for me. I also don't love the look of the matte finish. I'm a shiny, sparkly, glitter kinda girl. Alpine Snow looks like white out, and the only colors that interest me are Russian Navy and Gargantuan Green, but not enough to spend money on them. I'll be staying away from this look altogether. to OPI, I give the diss. I will not go matte. I was so excited when matte polish first started hitting the market and I won one of those Man Glaye polishes in black, but I also noticed they don't wear well. I had chipping after 1 day, even with a good base coat. Also, the natural oils in your nails and from using hand cream etc, it reduced the matte effect very quickly. By day 2 or 3 they weren't matte anymore, they weren't glossy like a cream but they just looked weird – kind of blech. I don't think I'll be getting any more matte polishes. They do look very edgy but in real life, just not practical. I like some of them, but they don't really coincide with their glossy counterparts well enough to do a French tip thing, imho. That's what I was looking forward to the most. The white and green were disastrous. They look horrible! If the end product wasn't SO matte, it might have worked, but this matte is really extreme. as much as i want to LOVE them, all i can keep thinking is how badly i want to put a layer of seche vite over it!!! I will be all over them! I really would love to see a comparison to regular GGG. I have it and it looks much lighter than the matter version. And it takes 4 coats so I would love one that doesn't! And I am dying to Konad with Matte Alpine Snow! Wow. I'm actually disappointed in all but the pink one. Pooh. 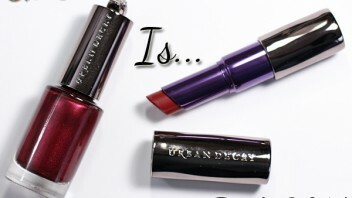 I loved "Gargantuan Green Grape Matte" and "La Paz-itively Hot Matte". Yikes! That's nothing like the matte nail polish I had about 15 years ago from Orly. Those were really nice, they were in jewel tones and had a hint of gold in them and they definately lasted longer than 2 days! Maybelline had mattes as well, not as nice as the Orly but nicer than OPI's. As much as I love matte nail polish, I think I'm going to wait for the Zoya polish to come out. So I was not completely convinced about mattes and have been waiting for swatches before I make up my mind. Am now jumping on the bandwagon, I love my two favorite colors in matte (LAPD and RN)! Might also go for GG, but will have to see some more swatches first. They would be interesting to use for nail art (especially since you can't use top coats to get the original versions as matte as the matte versions), but alone they're pretty uggums. Ummmm…..These aren't looking so hot. The brights seem to look a little better than the darks. I'm a tad disappointed. I may try just one bottle for the heck of it, but I'm not feeling too hopeful. Maybe I'll try it with a glossy tip in a contrasting color. I just like shiny polish too much to try any of these. They just seem a little dull and sad to me. I'm the kind of person that things take a while to grow on me. I really love the pink matte so I'll definitely be getting that. The green and the white i'm thinking about. I have a feeling i'll love those after i've looked at the swatches some more. Maybe the Russian Navy as well. When I was little and bored at my moms office I would paint my nails with white out. It always left this matte kind of texture and look. I loved the look at feel of it, so I love this collection. I think I will definitely be buying a few of them just to try out. I'm not sure how the no hand lotion rule will go, but we'll see. The more swatches I see of these, the less I like them. I don't like the colors or the finish. 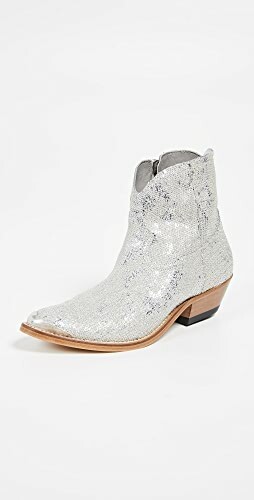 This is a trend I'll be taking a pass on – bring on the shiny! well….I'm quite disappointed with this collection.. I don't know.. Maybe my expectations were too high?! 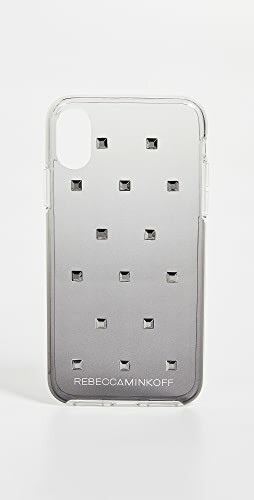 I still think I'll be getting a few of these though, to try them out but we'll see…..
Ugh. Don't really like these. Looks like chalk. The original garguantuan green grape is 10 times better. The matte version does it NO JUSTICE. I can't really wear mattes, I always want to put on a top coat. Wow. I was all set to love these, but no. The pink's nice, the others not so much. I think either of the off-blacks might work with a drop of (normal creme) white added to take it to somewhere in the charcoalish range and give it some life, but I'm not interested enough to bother trying myself. Guess it's going to be Nails for Males or Orly Matte for me. Not so impressed. 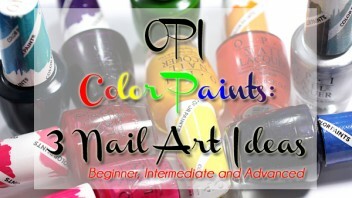 Honestly, I was less interested in OPI's Mattes than Zoya's as I thought some of the color choices were odd. La Paz is far more stunning than I expected, I'm not into pinks either but that one is fab. Much more appealing than the original IMO. The rest? Eh. Alpine Snow and Gargantuan Grape look like they'd make great bases for nail art. Not sure how I feel about them on their own. The three dark shades don't thrill me at all. I haven't given up on this trend as the KO matte polishes and ManGlazes look hot. But OPI's version, while daringly matte, just fall flat. I think if they had chosen some better colors it might have worked out better. When there's no shine, no sparkle, a nail color has to be a shade that really sings you know? But with the exception of La Paz (which has a rockin' set of pipes ;)) and maybe GG, none of the colors did. I think I'll pick up La Paz when these come out but I think the "no hand lotion, no base coat, no top coat" rules will keep me from really getting on board. That's murder for your nails! I'm just not impressed. I don't know what it is, but OPI has really fallen flat for me lately. The pink is SO cute, but I just don't know. I was wondering if you could do a comparison of Licoln Park After Dark and MAC's Dark Angel? I think I'll be taking a pass on this whole collection. They just look so lifeless and boring. I was waiting for your review and swatches and I have to say I'm pretty disappointed. These look pretty yuck. Too bad. Maybe Zoya's will be a bit better? I was so excited about these and planned on buying the entire collection but now not so much. I think I'll still pick up La Paz and maybe LPAD but that's it. idk. maybe it's just the neon-lover in me, but i think i love the alpine snow. it's like a neon white! and i also think i love gargantuan green grape. it reminds me of dried up "sticky green leaves" a la brothers karamazov, which is sad but awesome. wow, i just exposed myself as a nerd, didn't i? Guess I'm not a matte girl. Although I like the idea of maybe mixing it up by using matte on the tips. I am not a pink polish gal, but La Paz matte looks like a must-have for me! 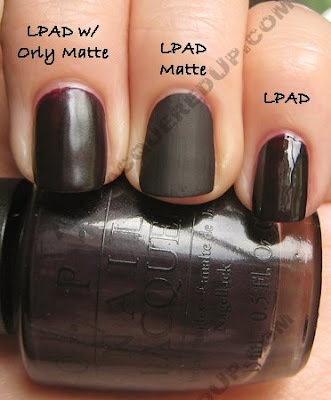 I haven't seen these OPI Matte polishes but the way you present them they deserv a look. I agree "Alpine Snow" should be left in it's original shiny formula, as so shall Garganthan Grape. 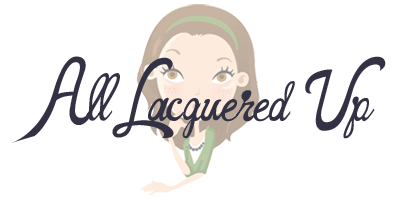 The pink La Pazitively and You Don't Know Jaques especially lok super but not in Matte form. I am loving LPAD and RN in both the regular shiny and matte forms and will be on the lookout for the LPAD and RN in matte since I own the original colors, lol. There's something about the mette glaze of both the RN and LAPD that makes it appear diferent and exotic to me. I can't explain it and since I have only heard about these colored mattes it's great you are featuring them on your web page. Kudos, especially your always beautiful and gorgeous nails! I only thought that the only matte color I would ever see was Matte Nail Envy so men would not be afraid of ever wearing "shiny" clear nail color" lol we have gone very far with this concept. Peace. Seems like anyone who does their nails regularly (us fanatics) use top coat and bottom coat, so I just don't know about this… aside from that, I just don't think it's right for me. 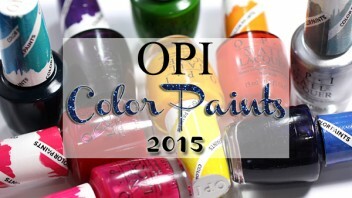 I applaud OPI for trying something different, but they don't seem to have put their whole hearts into this. 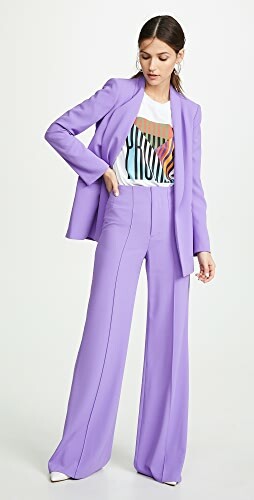 The colors are interesting choices – to say the least. this is the second review I've seen for this collection…and neither of them were exactly glowing reviews. I agree, out of all the colors, I would have to say La Paz-itively Hot Matte is the best looking..and i'm not even that into the color itself. The satin-finish just makes it look so much classier. I just think they all look like there's something missing, will be sticking with my glossy top coat! When I was younger, my absolute favorite nail polish of all time (and still to this day) was a dark lead-colored polish from a holiday gift set from the Gap. There were two other polishes in the set–a light silver and a silver-pink–but neither were as nice as the dark one, which had a matte finish (although I didn't know what it was called at the time). I'm so excited for this collection! I can't wait to try it! And I think the swatches look awesome (I guess I'm kind of weird)! I think this is something I have to try on on myself before I give a verdict…. Awesome swatches! I really like the comparison with the regular ones. Think I will get LPAD! And where's that e-tailer that I can order them from right NOW? Hmmm. I'm kind of curious about matte, but I think I might pass on this collection. I hope a local salon will get the collection so I can try the green (which looks the best, IMO) without buying the whole bottle. Maybe Zoya's mattes will be better. You could use the La Paz matte on your nail, and the Green Grape matte on the tips, and put black dots with the LPAD matte on the La Paz, and have watermelon nails for summer Just kidding, that's probably the only way I would wear any of these! Matte eye shadow; yes; matte nail polish, no. For me anyway! I don't think this is a trend I'm getting behind (although I must admit that I'm sort of intrigued by You Don't Know Jacques – looks very punk and edgy.) I love the original LPAD, but the matte version looked almost bruise-like to me. What a difference the finish makes! eee I can't get into these. Wow…this makes me sort of sad. I had such high hopes for these polishes. i have the opportunity to try the matte version of la paz through work – and it is just so so gorgeous! thanks for posting these! The La Paz Matte looks quite good, but still, it isn't good enough compared with my expectation.. I love these!!! 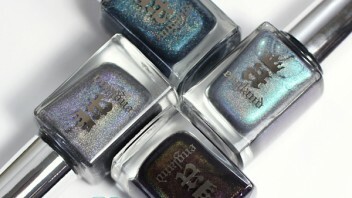 I'm definitely getting La Paz, Alpine Snow, GGG, and Russian Navy!! But then, I love the matte look, it works for me. I have 4 KO polishes and love them. Got to say that I'm quite disappointed. Especiallly shimmery shades are very dull and flat, I can't see the shimmery texture at all. Opi should examine their Manglaze better. I kind of like You Don't know Jaques – and Alpine snow could be an excellent base color for sheers! I don't know. After seeing Zoya's Matte Velvet collection I don't even know if I'll buy OPI's version. OPI just looks boring while Zoya is stunning. There is not a single shade there that makes me say, WOW! Now my only wish is that Zoya was doing more than 3 shades. Saw the OPI Matte collection on sale at my local Empire Beauty Supply here in San Diego. The color card was ermm… interesting. 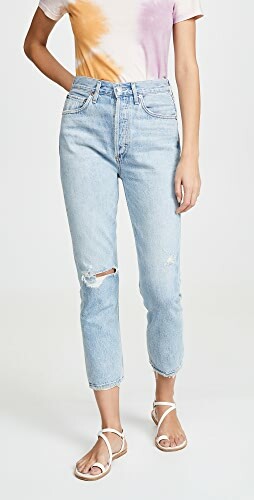 when do they officially go on sale? 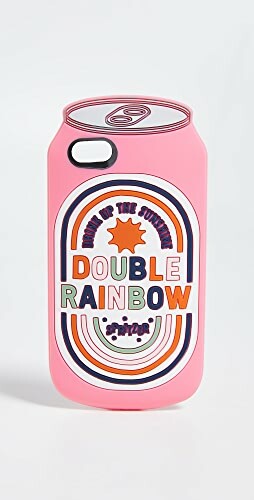 I really want to get the La Paz version in Matte. Not quite sure how I feel about the others. how about the essie matte about you finisher ( it hink it works like a top coat?)? or the zoya matte collection (they have 3 matte shades)? Anna Banana – I posted a review of the Zoya Mattes and will post about the Orly version as soon as I get them. 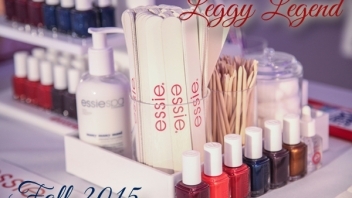 I have the Essie top coat and will be reviewing it very very soon. Matte lips…LOVE! Matte Eye Shadow…LOVE! Matte nails…YECH, just plain UGLY in my opinion. Except of course for La Paz. Beautiful job on the post and swatches! 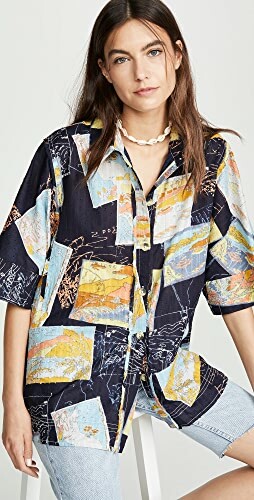 Thank you for saving me time and money, I will NOT be sporting this trend! I do think the Zoya colours look more interesting but if they finish anything like the OPI..no thanks! Thanks again for the great post. I have the La Paz matte. I actually bought it not realizing that it was matte! (No, I did not notice the big sticker and card that was attached… my bad.) I actually quite like the color, although the matte finish definitely took some getting used to. My first instinct was to slap on a top coat to make it shine! But I resisted and actually think it looks interesting. A HUGE plus is that it dries super quick since there is no base and top coat. So even if it chips faster, it's a very quick fix. I actually the quick application makes it perfect for summer. I have to say, I normally do another coat of paint on my nails every second day. It's what you're meant to do anyway, so the chippage wouldn't be as bad as that. I do love the matte nail paints so much more. I went crazy and bought GGG, LaPaz& LPAD. I have GGG on, and it almost looks like that minty green nail that's so popular. I wasn't sure about it at first, but I am DEF in love with it now. I love shimmer and glitter, but I adore this matte! 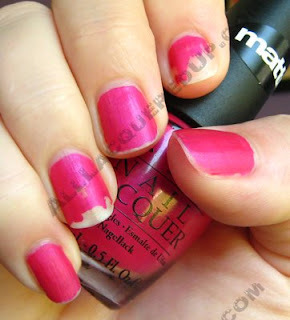 Could anyone tell me where I can find Matte nail polish in NYC? I've been looking all over and I can't seem to find it anywhere! Where do you ladies get your polish? I feel like this look is very hit or miss… I absolutely love the pink one, the black one is alright. I also have the purple version that OPI made for Sephora which might be one of my favorite colors I own… but the rest are just kind of strange and blah looking. i love these polishes. i've been searching for a true matte polish for years. i found a polish by knock out cosmetics a while back, but i can't justify the $22 price tag. i bought the lincoln park after dark a few days ago and have been loving it. 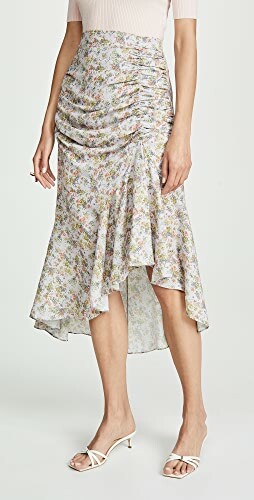 i don't mind about the wear, i kind of like that worn in look. i also don't mind reapplying because it dries so fast. this is amazing, i absolutely love it. @ Ellen for any hard to find cosmetics i always go to RICKYS in NYC they have the whole collection of opi matte.. I bought the russian navy. It’s more black than blue when applied and it looked like i was digging my fingers in tar. IM ADDICTED TO DARK COLORS but I think Mattes are best in pastel and bright colors making them more fun and edgy. 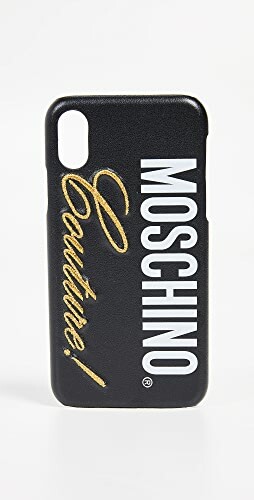 I personally would stay away from the dark colors in matte…. the staff at ricky’s most of the time is willing to let you test the polishes on a piece of clear tape. I bought Gargantuan Green Grape and Russian Navy. I wanted to buy the Gargantuan Green Grape in the Regular OPI but I decided to try it out with Matte. The colors are kinda Chalky.. If you know what that is like. The feel to it is different since I’m used to smoothness from Top Coat and theres none on this one. But all in all I actually like it. Its different from what I would usually wear and I’m always up for a little change. I still prefer the Regular OPIs but I will wear this from time to time. Ya know, I tried these today–and I HATE them. Why would you want nails that look like that? Gimme shiny! 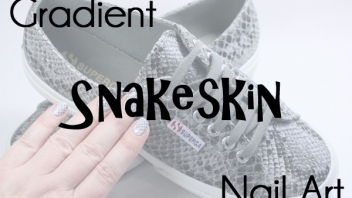 I just bought Russian Navy – before reading this – and I love it! I’m a nail polish diehard and think the different look it worth the short wear life. Quick dry makes it easy to fix too. After I painted the first two nails I wasn’t sure, but then got more polish on the wand and went super quick -nice and smooth! Will look to try La Paz next!! thank you so much for showing swatches. I have Russian Navy-Matte and i almost wore it alone(or with a base coat). I decided i would use Sally Hansen Double Duty (Base and top coat), but as I was putting on the Russian Navy-Matte, i was taking my time, and it dried to quickly, so i ended up accidentally wiping it off when i was still putting it on. Bad choice. Oh well. I just went and bought the You Don’t Know Jacques Matte nail polish before reading this, and I have to agree that it looks and feels like mud on my nails. I like the color, wish it was a little lighter, but I don’t see any appeal in these matte colors with no gloss at all. I got La Paz and, like you, I loved the color and satin finish but was very disappointed in how quickly it chipped. I have not bought another matte polish since. Very cool! Just tried RN! Not sure how long will this last but I have never seen anything like this on my nails before! 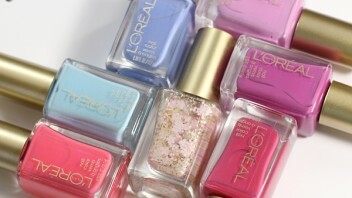 Very handy if you are in a rush – first polish which really does dry FAST! I have the matte alpine snow and it chipped that very same day after painting them! the day after and they’re chipped all over the place! and keep in mind im not doing too much with my hands! LOVED the color, and matte, DISLIKED that it didn’t stay on very well. So Orly mattes at better? Is that what you’re saying? Hi there, whats the name of OPI matte black ? Why is her boyfriend shaking his head at her nails? And if it is such a big deal, why didn’t she fix it before dinner?